While the “cadaver” look is not what most would call beautiful–dark, sunken eyes; gaunt cheeks; bony shoulders–those lured by the images put forth by the media find themselves desperate to lose weight and would go to drastic measures to shed pounds fast. Perhaps the most drastic but surprisingly common method is the use of cocaine to change metabolism and burn fat. From teenage girls to middle aged women, the promise of getting skinny fast is often too appealing to pass up. Although previously believed that cocaine led to weight loss because it suppressed the appetite, the truth is that cocaine users often eat more than they did before. How, then, does the drug cause users to shed pounds? Cocaine is a stimulant. It speeds up the heartbeat, blood flow, and a number of other physical functions. Along with this, the drug speeds up the user’s metabolism. Therefore, although cocaine users eat a lot and have altered protein levels that should make them put on weight, they typically end up with less body fat than non-addicts. Studies also indicate that cocaine may interfere with users’ ability to store fat, which would explain why coke users are leaner but crave fatty foods. Cocaine also causes many other health effects in addition to weight loss. Cocaine as a weight-loss method became popular in the 1990’s, particularly among women between the ages of eighteen and thirty. They believed it was a quick, cheap and easy way to lose weight. Drug dealers soon caught on, pushing the drug to the new market and using the ideal weight as a sales pitch. It was considered a “ladylike” drug because it left no needle marks, no smells, and it didn’t leave one slurring and stumbling around. Though many girls follow the alluring cry of “Get skinny fast!” they do not expect to get hooked. Yet addicted they become, soon so obsessed with the drug that they don’t even care what they look like any more. They often turn to stealing and prostitution in order to pay for more drugs. The other downside to cocaine use for weight loss is that the drug must be continued in order for weight loss to occur. Addicts who become sober after treatment, for example, find themselves putting on weight again. 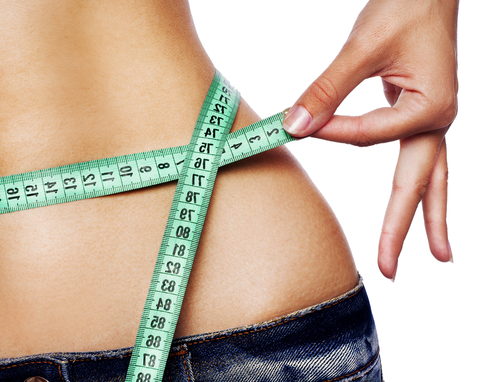 With the help of a doctor, however, one can find an exercise and dietary regimen that will maintain a healthy weight. Fortunately there are plenty of other options for those seeking to shed pounds fast. One does not have to use drugs, which are expensive and domineering. A simple lifestyle change can help one lose weight and feel great. It has been said that exercise is one of the best anti-aging treatments available. True, it doesn’t come in a pill or a bottle, and it’s not always a walk in the park. It can, however, be extremely fulfilling. No matter how difficult it seems, starting an exercise program is one of the best things you can do to lose weight. It will speed up your metabolism, burn fat, build muscle, and give you energy. You will also notice an increase in your general mood, but for a lot longer than the high from cocaine. A healthy diet does not require drastic measures such as “Absolutely no dairy” or “I don’t touch carbs.” The body needs a balanced diet of protein, carbohydrates and fats. Providing yourself with enough of a balanced diet will prevent you from consuming things you shouldn’t, like too much sugar. You’ll feel great, too.